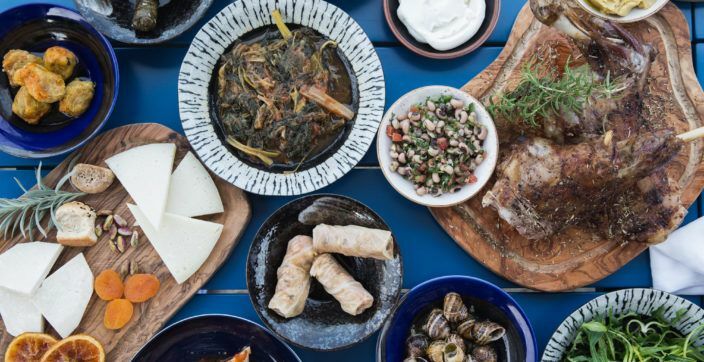 Travel through Greece as we encounter some of the most enchanting culinary moments, experience authentic cooking traditions and explore delicious native ingredients. 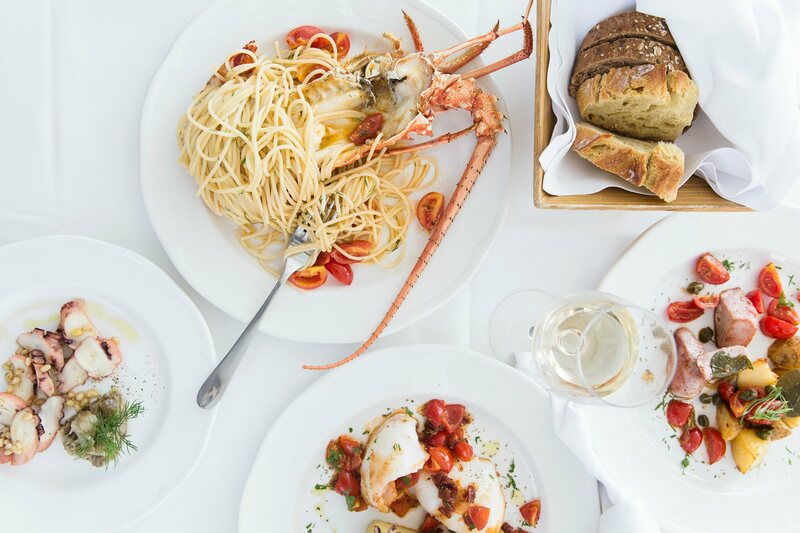 We journey through the rich Grecian gastronomy through the eyes of photographer Jo Yee. 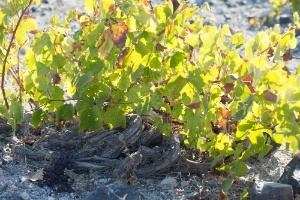 The heart of Santorini lies in its wine making, particularly in the southern part of the island. 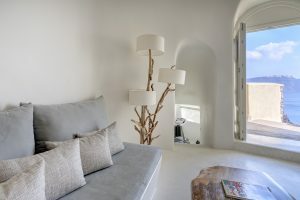 Besides the breathtaking Cycladic architecture of ancient medieval villages, you will find yourself surrounded by endless short, signature vineyards. Take a cooking class to orient yourself with the local culinary customs and unique ingredients such as the ‘Santorian tomatoes’ and ‘fava’. Afterwords, take time to enjoy one of the most beautiful sunsets in the world. A truly immersive experience can be had by exploring the many indigenous wine labels of the island and their rich history through a ceremonial wine tasting. Wandering through the small winding alleys of picturesque Megalohori. 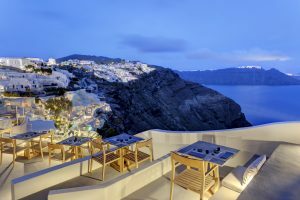 Since ancient times, wine production has been essential to the Santorini region. What better way to understand the relationship of local ingredients and spices than a cooking class with the Executive Chef. The looks are exciting, the taste was invigorating. 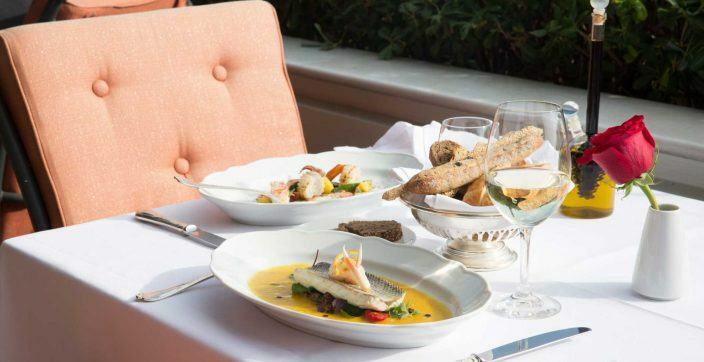 White ‘Assyrtiko’ wine makes a perfect pairing for mouthwatering seafood poolside. The 400 year-old winery at Vedema Resort provides the perfect backdrop for an unforgettable wine tasting experience. 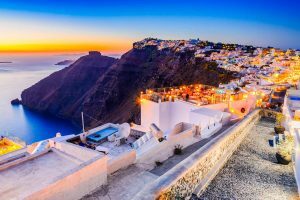 Oia is a traditional settlement on the Caldera cliffs of Santorini and it is one of the most famous villages on the island due to its magical sunrise and sunset views. Start your day with the delicious signature breakfast at Mystique Hotel. Experience a new, gastronomic culture, with influence from the sea. 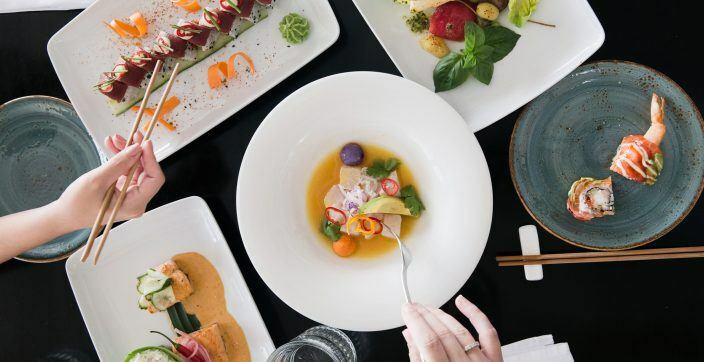 Simplicity with a twist characterizes the sushi selection, which highlights the exceptional quality of the fresh seafood locally sourced on a daily basis. Firostefani lies to the north of Fira, offering amazing views and another perspective of Santorini volcano. 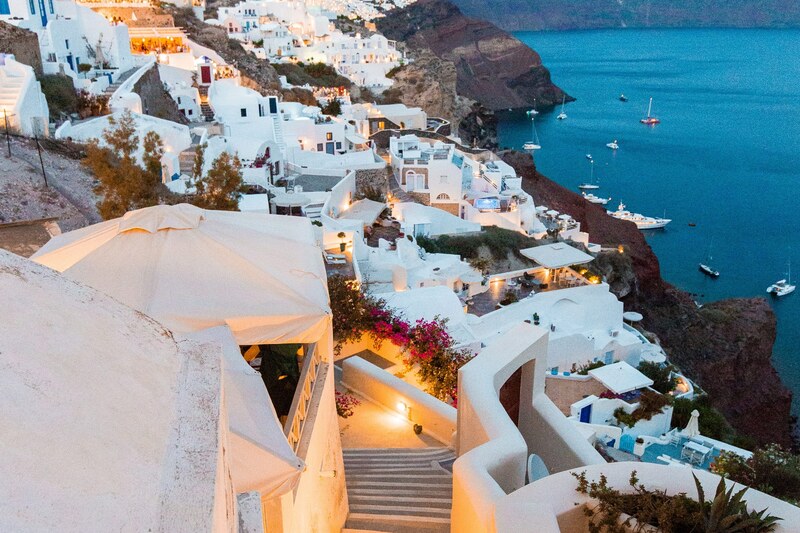 One can enjoy the magnificent sight of Fira itself and the breathtaking sunset in the evening. 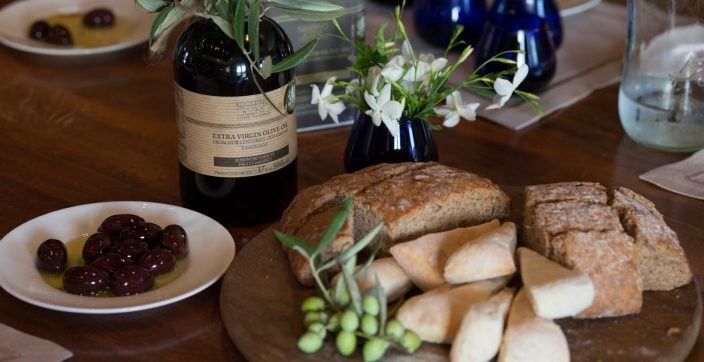 Gavalas winery is one of the oldest on the island of Santorini and is a key part of the wine making tradition. 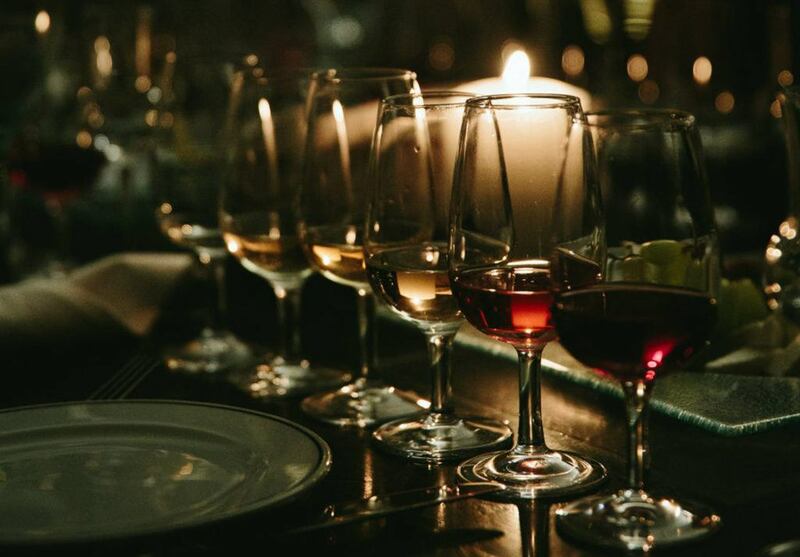 Descend into the romantic 400-year-old catacomb that now houses the Canava Wine Bar and take advantage of world-class vintages hand-picked by the owner of Vedema resort and wine specialists. 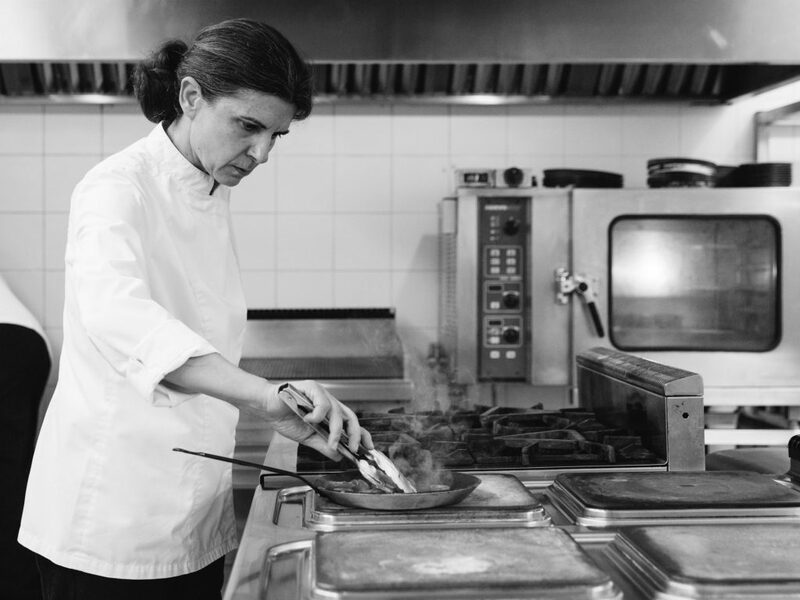 Expand your knowledge and skills by getting familiarized with the Santorinian cuisine; learn how to prepare a full Santorinian meal from the experienced executive Chef of Vedema Resort, Melina Chomata. Emporio is a village with a strong medieval character and most of the houses have been well-preserved. At the entrance of the village stand two lovely, blue domed Cycladic churches with impressive bell towers that dominate Emporio. 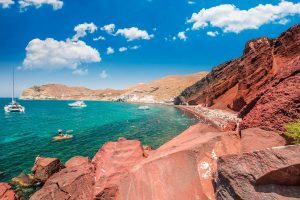 Red beach is located in the Akrotiri area and is well known for the unique colour of the sand and the hill behind it. 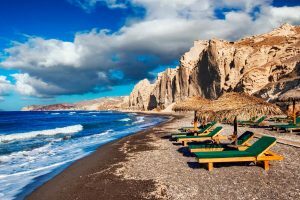 Eros is located north of Vlihada beach at the south part of Santorini and it is organized with umbrellas, sunbeds and beach volley. The picturesque beach of Perivolos distinguishes for its sparkling azure blue waters and tranquil atmosphere. On the beachfront there are numerous taverns, pubs and restaurants serving fresh fish and local delicacies. Pick your favorite recipe and start creating your own food story-line. Love to cook? Time to prove it! And do your best at presenting your masterpiece. Take a photo or video of your story and include a short text to describe it. 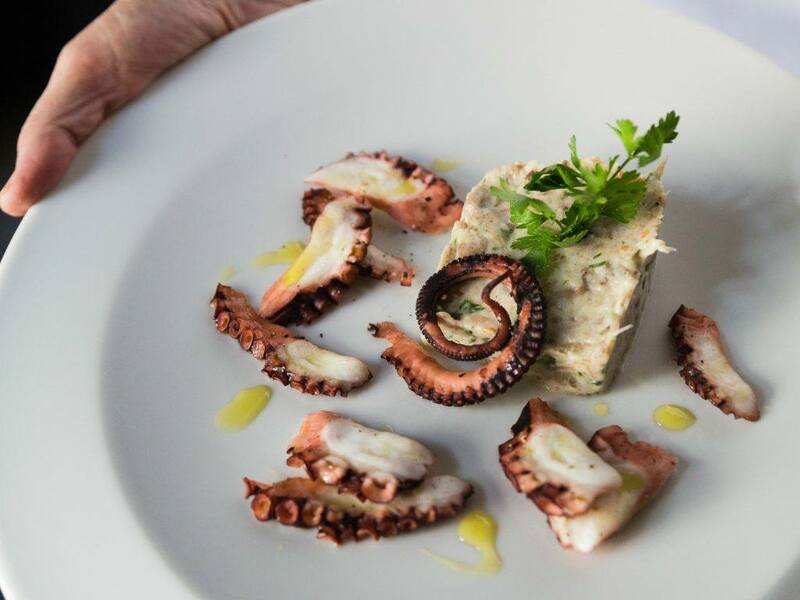 Travel through Greece as we encounter some of the most enchanting culinary moments, experience authentic cooking traditions and explore delicious native ingredients. 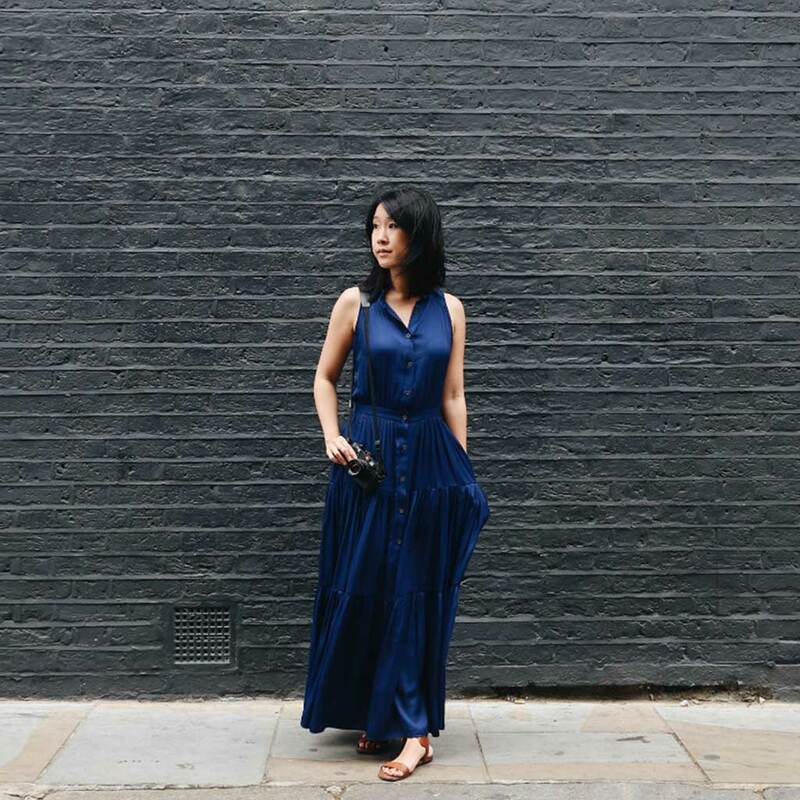 Jo Yee is a food and travel photographer based in London. 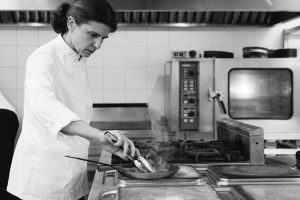 She has a penchant for intriguing food stories which has taken her across the globe to countries including New Zealand, Morocco, Spain, the Czech Republic and more recently Greece. In addition to photography she enjoys cooking and writing for her blog candids by Jo.